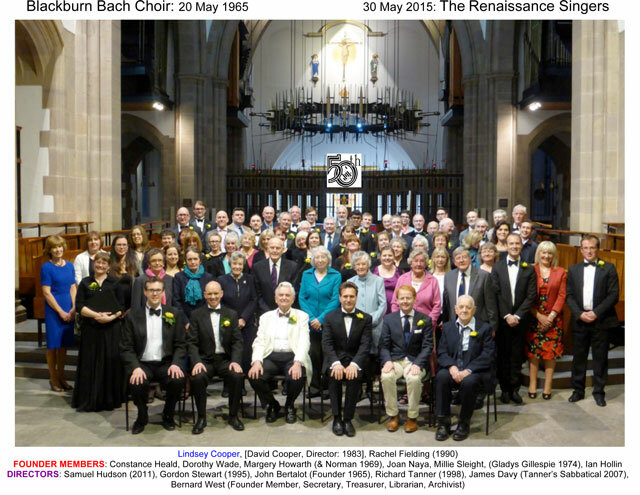 The Renaissance Singers began life as the Blackburn Bach Choir in 1965, founded by Dr John Bertalot. In 2015 we began celebrating 50 years of music-making with a series of concerts and events. 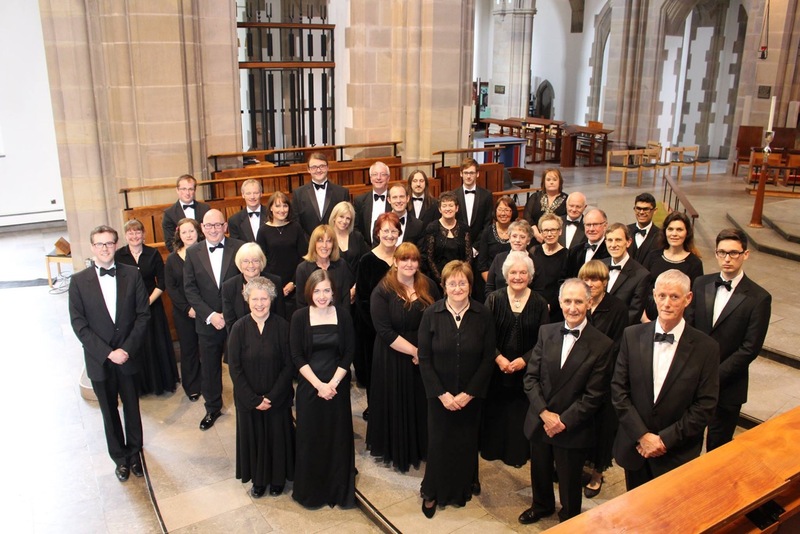 Our 50th Anniversary Concert took place on Saturday 30th May - and what a great success it was! Some photographs taken on the evening can be seen on our Flickr photostream. Please click here to see the photographs. The photograph below was taken after the concert and features founding members, former members, current members and former directors. It was kindly passed on to us by Dr John Bertalot. If you are a former member of the Renaissance Singers and would like to get in touch, please do so using the Contact Us page of this website. We are keen to hear from as many former members as possible, not only to ensure we have a comprehensive picture of the choir’s history, but also to invite former members to our programme of events celebrating our anniversary. To help us celebrate our 50th Anniversary, please see the Forthcoming Events page of this website.